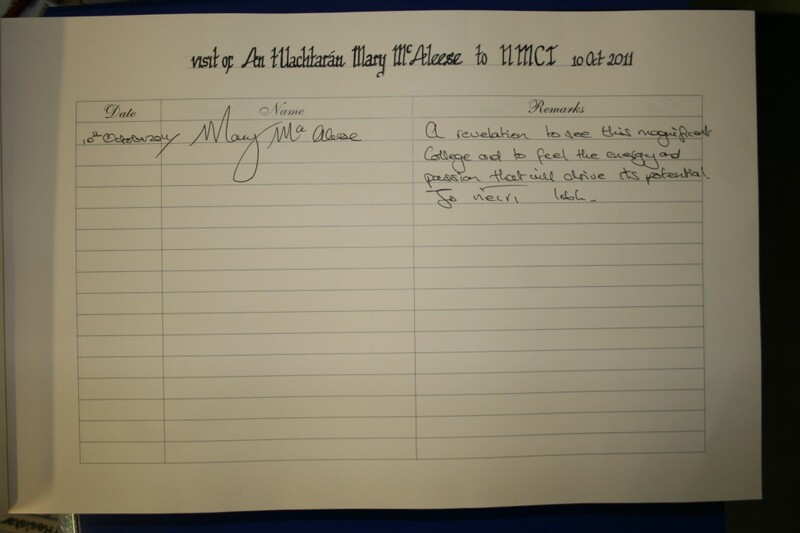 President Mary McAleese received a rousing reception at the Haulbowline Naval Base and the National Maritime College of Ireland (NMCI) on Monday October 10th, as part of her final official visit to Cork. 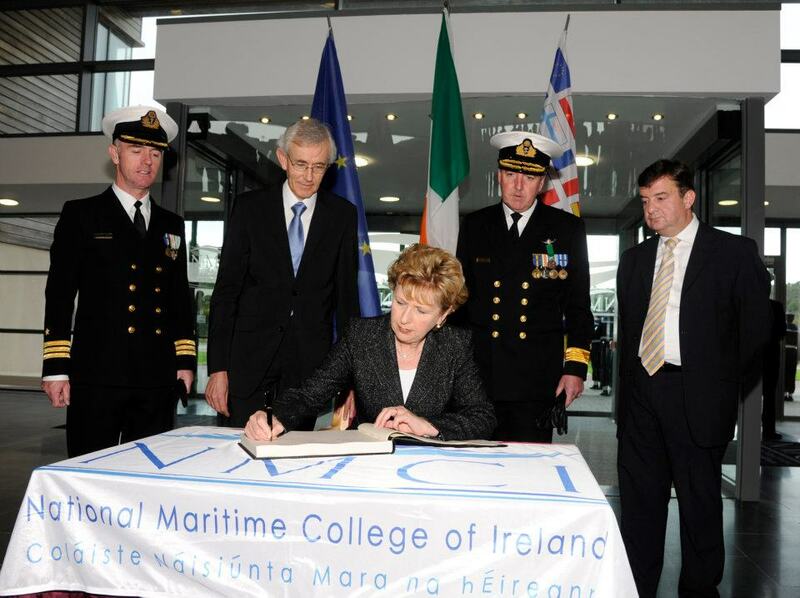 The NMCI is a partnership between Cork Institute of Technology, the Irish Navy and Lend Lease. 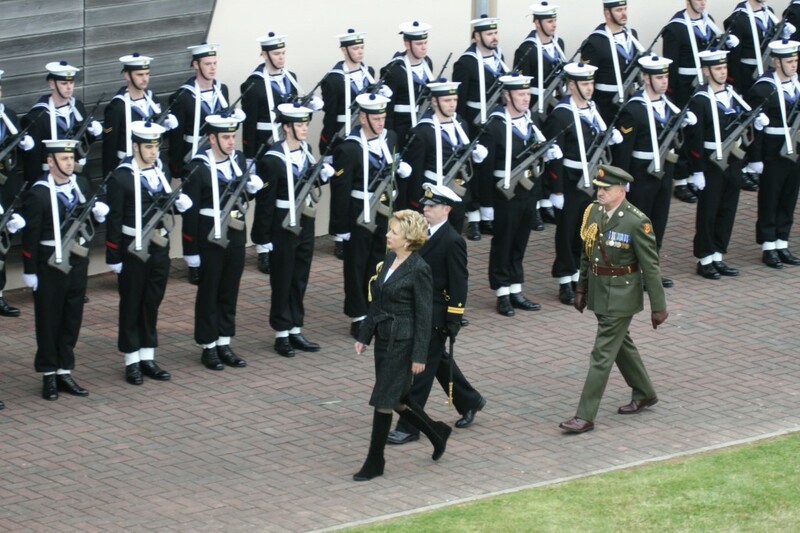 As the visit was the first leg of her visit to the Irish Navy she was greeted by a 100 person Guard of Honour, a spectacular site at the main entrance to the NMCI. The President was escorted around the college by Commodore Mark Mellett, Flag Officer Commanding the Naval Service. The President was wowed by the facilities in NMCI, including the hi-tech bridge simulator which mimicked being on board a Navy vessel as it navigated around Sydney Harbour. President McAleese capped off her visit by boarding the LÉ Niamh which passed Monkstown, Passage West, Blackrock and Mahon much to the delight of the schoolchildren lining route.